Residents of Spanish Ridge enjoy luxury living with modern styles, private balconies and impressive amenities. 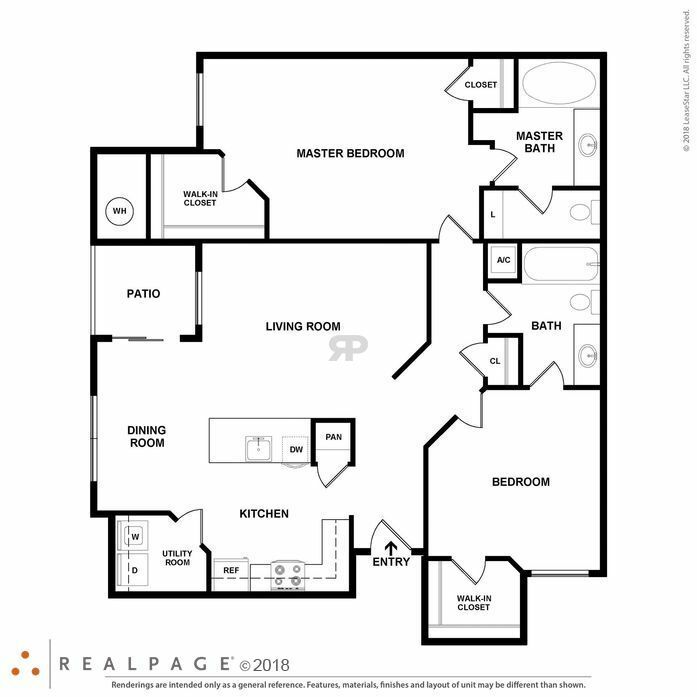 You are sure to find the floor plan that is just right for you. 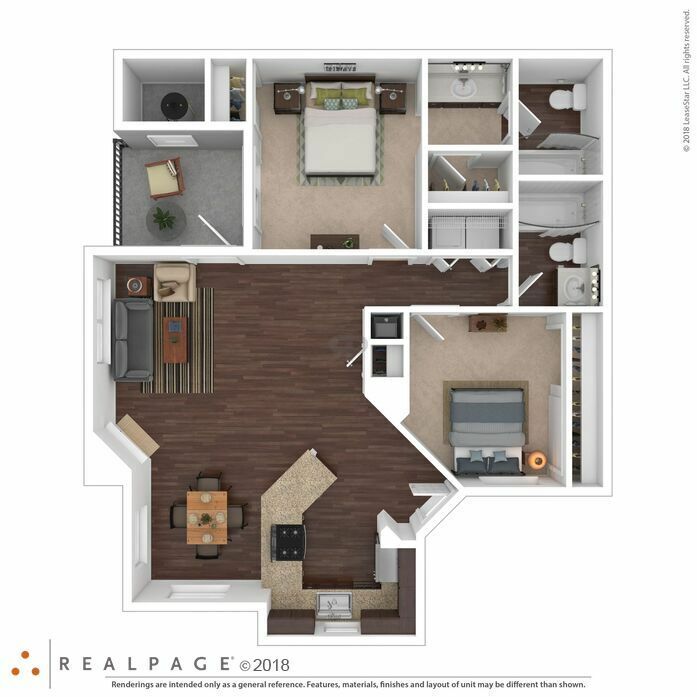 This floor plan features a beautiful fully-appointed walk-through kitchen with breakfast bar, stainless steel kitchen appliances in select floor plans, espresso cabinetry with brushed nickel hardware, wood vinyl flooring, a large walk-in closet, utility room with full-size washer and dryer and private patio or balcony. 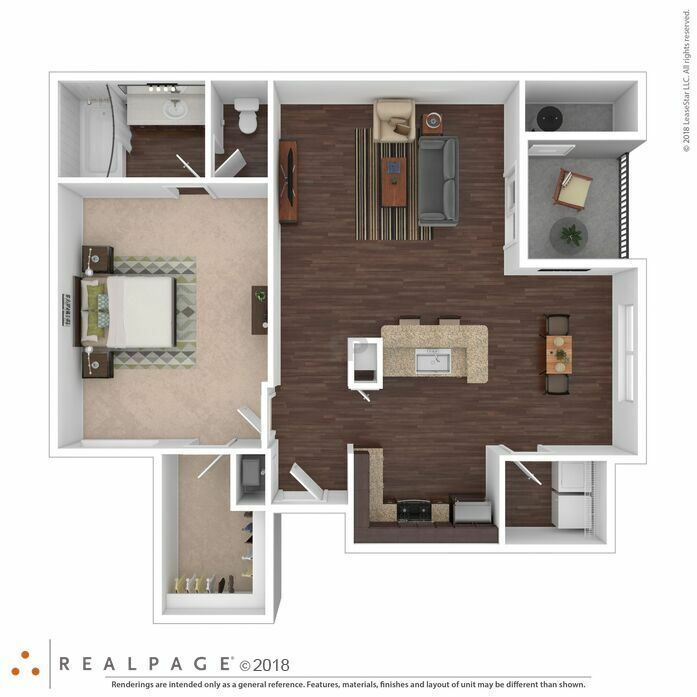 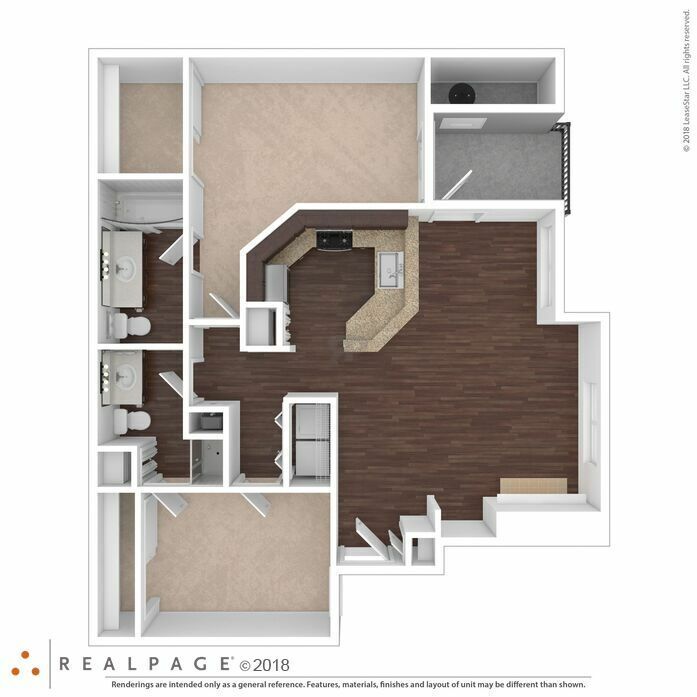 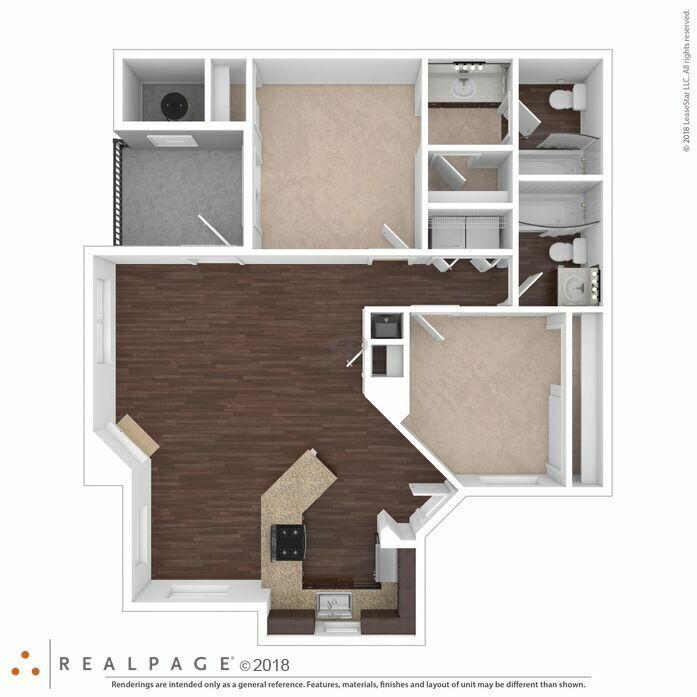 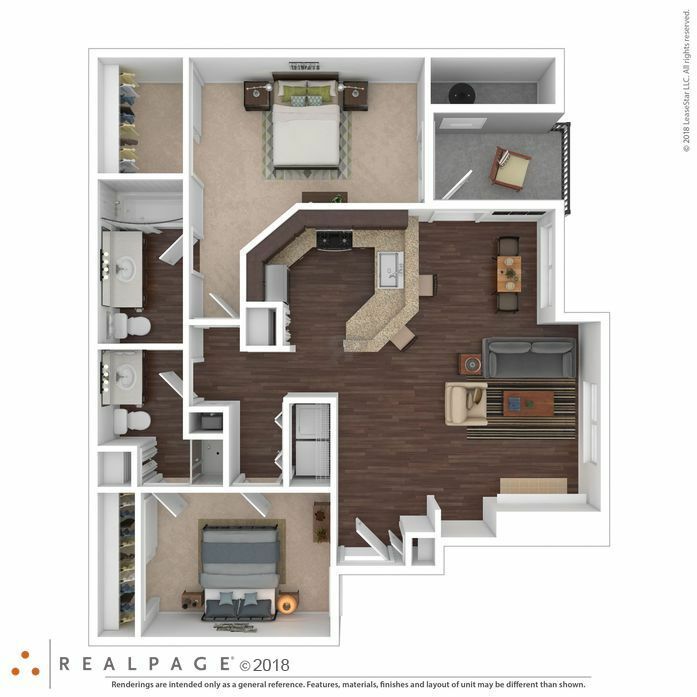 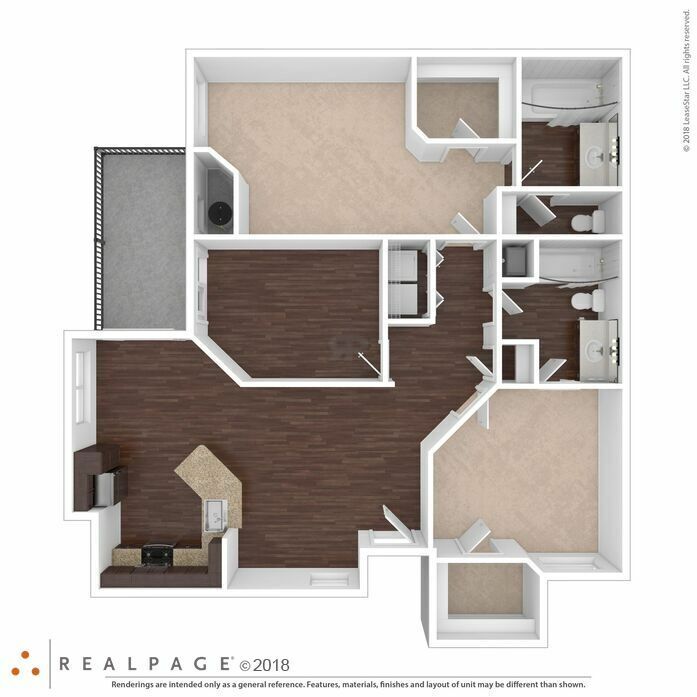 This floor plan features a wrap-around kitchen island, stainless steel appliances, espresso cabinetry with brushed nickel hardware, wood vinyl flooring, 2" wood blinds, relaxing Roman Tub, private patio or balcony, and a full-size washer and dryer. 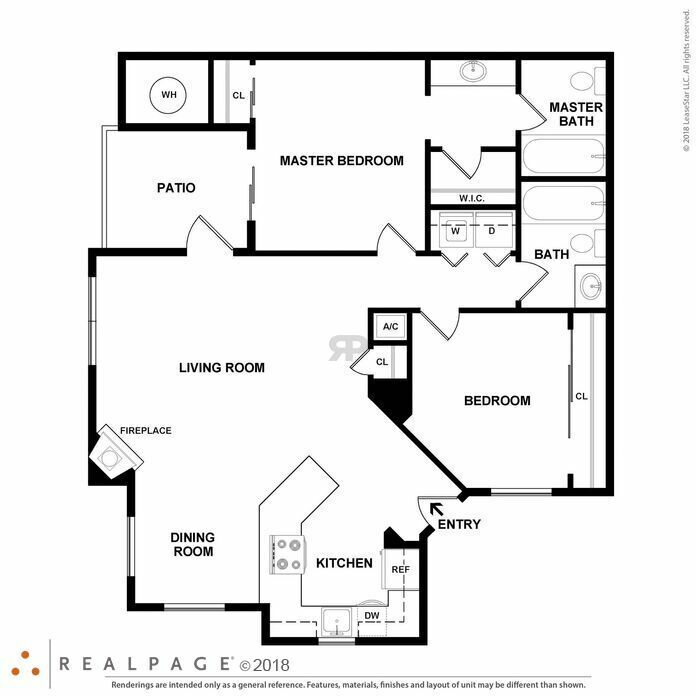 This spacious two bedrooms open concept floor plan offers a large kitchen overlooking an oversized living and dining area with a fireplace and built-in shelving. Each apartment includes a full-size washer and dryer and ample storage. 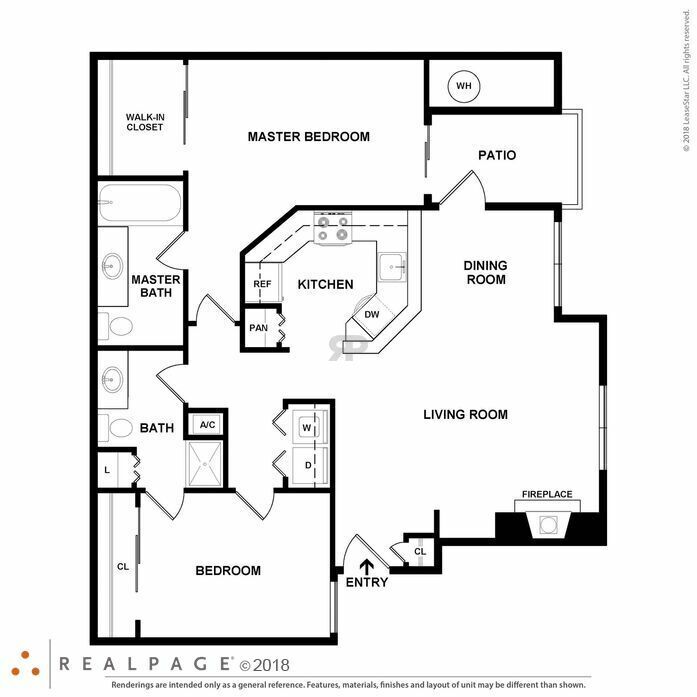 This charming floor plan offers a ton of living space, great for entertaining and relaxing. 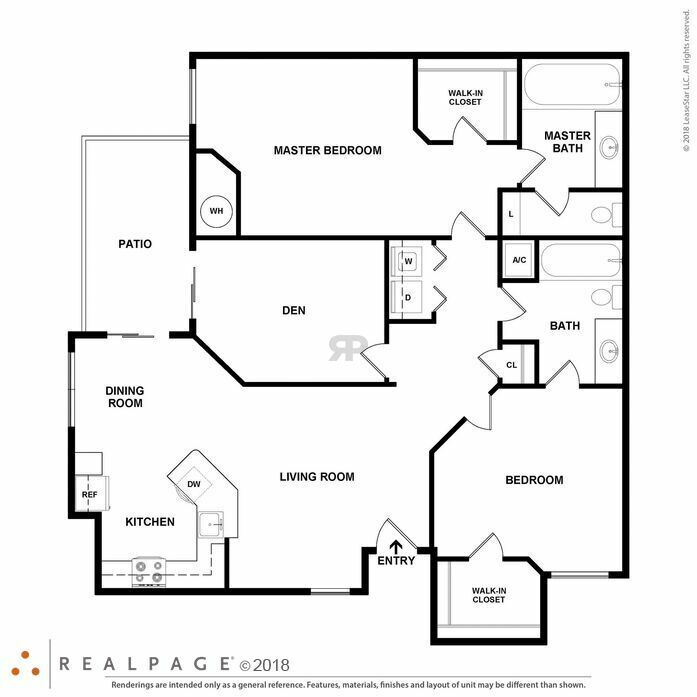 The large master suite features a large walk-in closet, linen closet, and a large soaking tub. 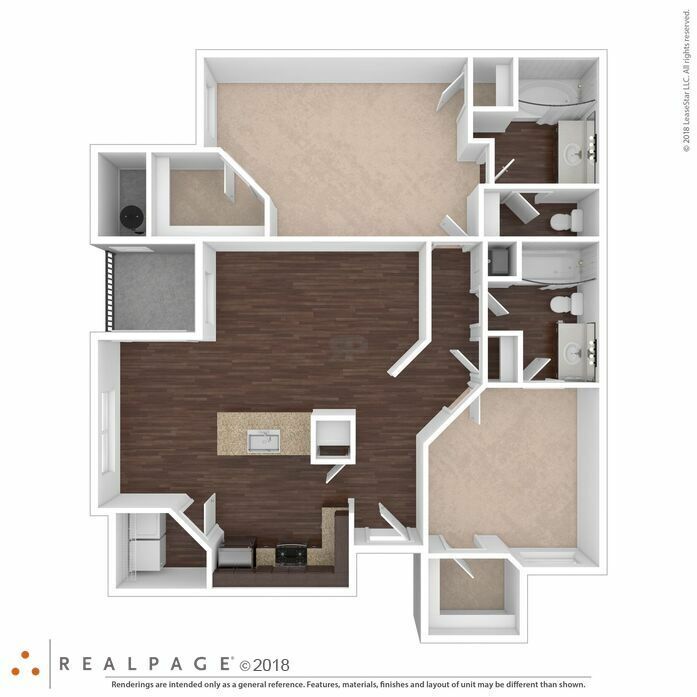 This large floor plan offers 2 spacious bedrooms, plus a large den. 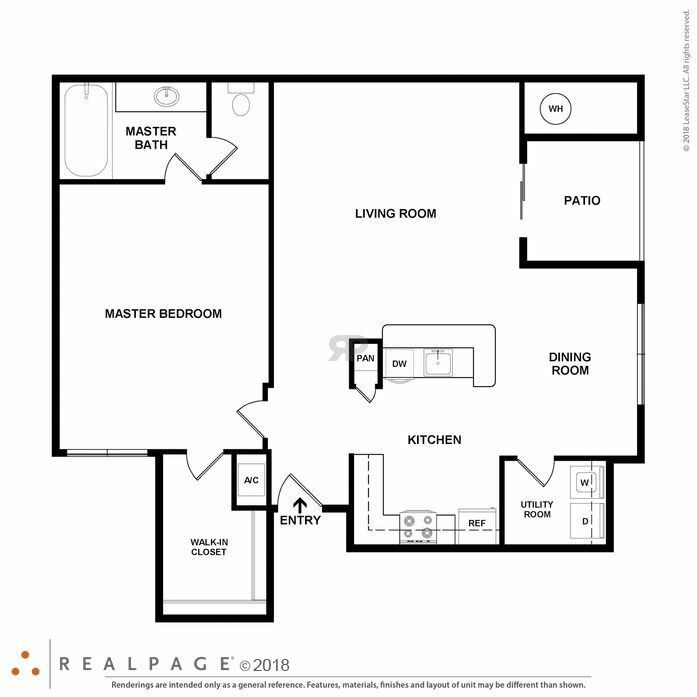 A fully-appointed kitchen, designer finishes and tons of storage round out this hard to come by the unit.